This piece is so different and pretty - its unusual when you see a necklace made in this color. 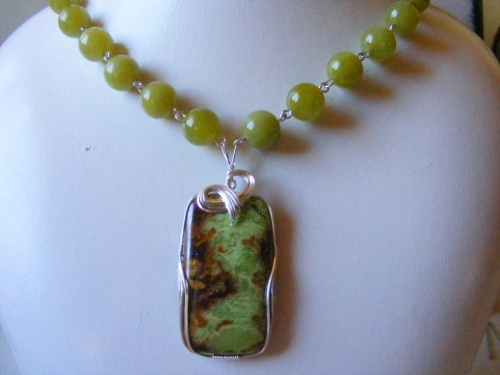 For those of you who love green this is it - gemstones are Olive Jade and the focal is Gaspiete. Enhanced with .925 sterling silver curls and swirls - piece measures 22" and has a locking clasp.